Brazil is expected to surpass South Korea, France and Italy in the business travel global rankings, according to the Global Business Travel Association (GBTA). 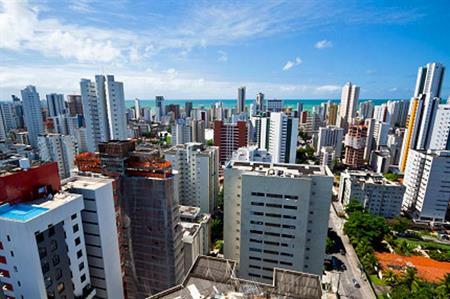 The GBTA BTI Outlook report on Brazil has revealed that the country's total business travel spend is forecasted to grow 6.3% in 2013 to £20bn and another 12.6% in 2014 to £22.6bn, as the global economy gains momentum along with Brazilian domestic demand. Brazil currently ranks ninth in the business travel global rankings and, assuming the high growth rate in Brazil resumes, will climb the ranks of the top business travel markets in the world surpassing South Korea, France and Italy over the next few years. Wellington Costa, president of GBTA Brazil, said: "Despite the relative volatility in Brazil, we have been encouraged by real GDP growth and a significant rise in Brazilian export volumes. "As the global economy regains double-digit growth, we remain confident that Brazilian business travel spend will return to double digit growth in 2014, and this is nothing but good news." Tad Fordyce, head of global commercial solutions at Visa, which sponsored the report, said: "Business travel to and from Brazil will continue to benefit from the country’s growing economy, as Brazil continues to be a globally important market." After over a year of stagnation, real GDP will advance by 3.5% in 2013, driven primarily by domestic consumption, investment and advancing exports. Brazilian export volumes have also continued to improve in 2013 – advancing by nearly 15% over year-ago levels. The principal reasons for this welcome change in direction are improving economic conditions in the US, further stabilisation in Europe, and stronger intra-regional trade. Most experts expect Brazilian exports to continue to strengthen through at least 2014. Given the strong correlation between export activity and international outbound business travel, this is good news for travel suppliers. Business travel: where are corporates going?